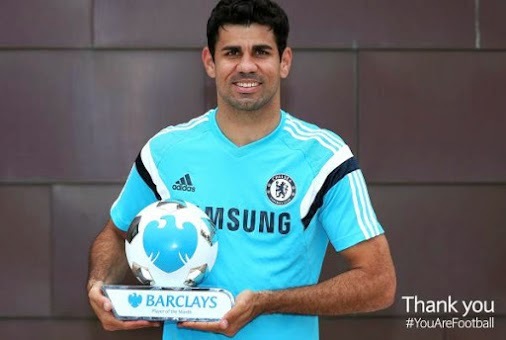 DIEGO COSTA - BARCLAYS PREMIER LEAGUE PLAYER OF THE MONTH. Diego Costa is the Barclays Premier League Player of the Month for August and it's well deserved after taking the League by storm sonce his arrival at Stamford Bridge. With four goals in three games so far, Costa has had the best possible start and I hope it continues throughout the season. Many people wondered if he could cut it in the Premier League, he has answered those questions in the best possible way!